Yup, still standing. Standing, lifting, sitting, and...weaving! Nearly. Preparing to weave. More specifically, winding my warp and soon to be threading my heddles because I got a loom last week! And I have been completely consumed by the joy of what's to come--oh the blankets and table runners and general wooliness that await me! 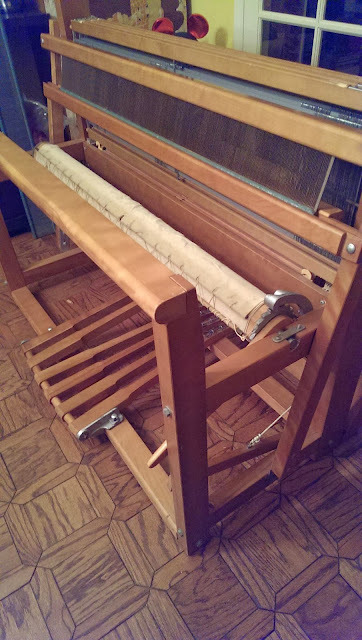 It's been nearly six years since I STUPIDLY sold my little Le Clerc jack loom, and I've let life and four flights of stairs stop me from righting that wrong. But no more. I am victorious!